This powerful partnership combines Sun in Capricorn’s focus on achievement with Moon in Aries’ need for a challenge. However, Aries may end up throwing herself against the walls of Capricorn’s authority, and Capricorn may react by laying down his absolute law. In order to avoid an endless confrontation, these two will have to focus the tension between them on an external target. Sun in Capricorn is the Business Man. Focused, responsible and ready to climb the ladder, he has no problems committing to a relationship; it’s the adult thing to do. His partner should understand that work will probably come first for Sun in Capricorn. The best way to foster intimacy will be to join him in building a relationship that has a specific purpose. He wants a partner who will shoulder responsibilities with him (although he’ll always take on more than his share). His Shadow side can manifest as focus on external status and achievement, at the expense of an emotional connection. Moon in Aries is the Warrior Woman. She needs action and tension in order to feel alive. This is not someone who will be content to plant herself in a cozy, domestic routine. Her partner should be ready to give Moon in Aries the challenge she desires, or at least understand that she’ll need an outlet for her restless energy. Passionate and impulsive, this hot-blooded Moon will lash out with explosions of temper if she’s feeling bored or restricted. Sun in Capricorn will respect Aries’ energy, but will quickly become frustrated with her volatile temper. 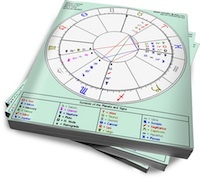 Moon in Aries will kick against Capricorn’s authority, as he’ll probably end up playing the heavy in this relationship. But with his external discipline and her internal passion, these two can power their partnership towards whatever goals they choose. If they can continually find new milestones to aim for, these two can use the (potentially) destructive tension between them to move forward, together.